It’s estimated that potholes cost UK drivers £730m last year, having major effects on suspension, damaged springs and higher levels of wear and tear. The Annual Local Authority Maintenance Survey claims that local authorities paid out £23 million in compensation for pothole damage last year. It’s therefore essential that potholes are repaired as soon as they occur, as delaying this could cause them to deteriorate further. 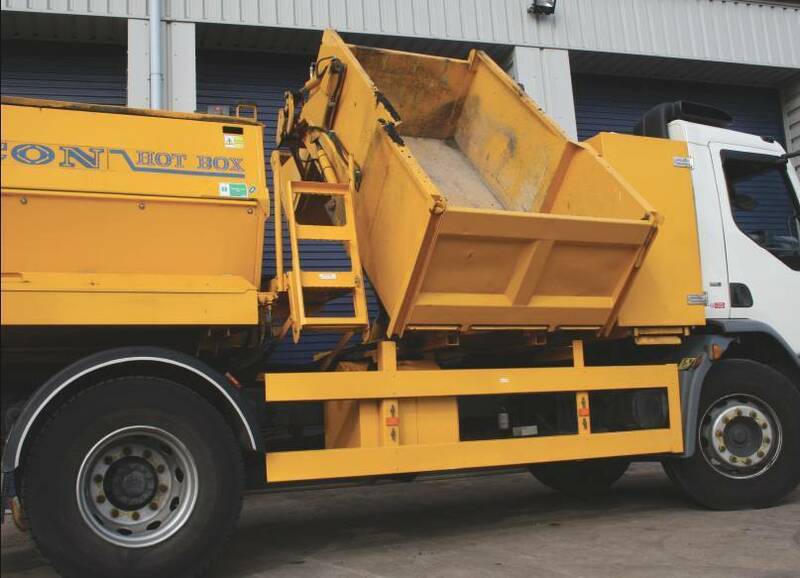 Hot boxes are an essential element of road mending, providing a temperature controlled means of laying the road materials quickly and effectively. Here at ND Brown we provide a wide range of hot box hire options to provide you with a cost effective and quick way of repairing roads. We’re experts at working with utility, civil engineering, municipal and civil engineering industries and so are experts at working to strict schedules and regulations. We aim to make your hot box hire as easy as possible and so can drop off and collect the hot box vehicles to work in with your schedule. Whether you need a hot box for some small scale repairs, or require them for an open ended amount of time, we will have a contract to suit your requirements. One of our most popular hot box hire options is the 18 tonne GVW Roadmender hot box unit which has an econ twin chamber and digital temperature control. With a side tipping body between cab & hot box, propane gas heating system and hydraulically driven discharge augers it’s specifically designed to make roadmending easy. In addition to this the hot box also comes with electric cylinder loading winch and hydraulic loader bucket. If you would like to find out more about Roadmender hot box hire, or any other of our hot box hire options then please get in touch with a member of our expert team.